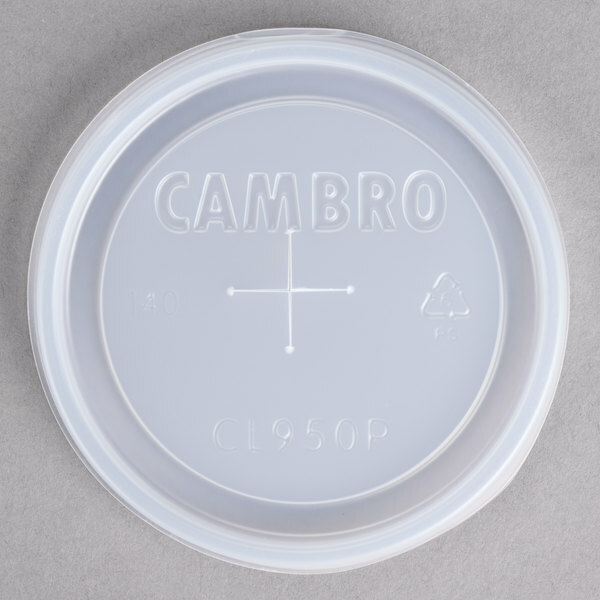 Will these Cambro lids fit containers from other brands? 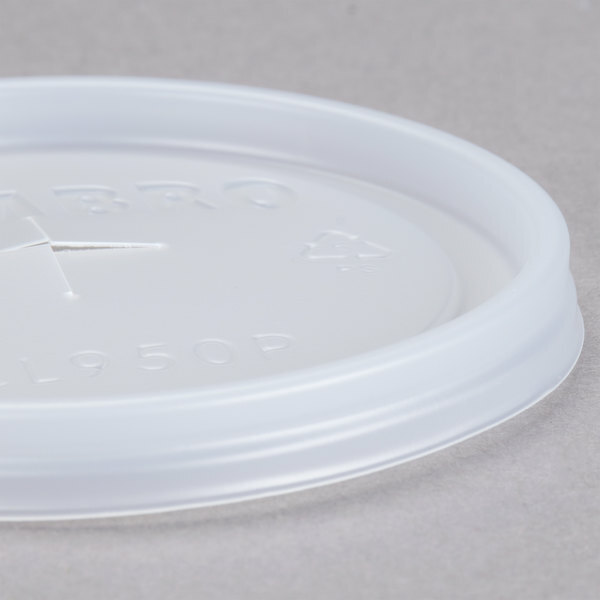 Although these lids may be compatible with containers from other manufacturers, their fit may vary. Please consider this before purchasing. 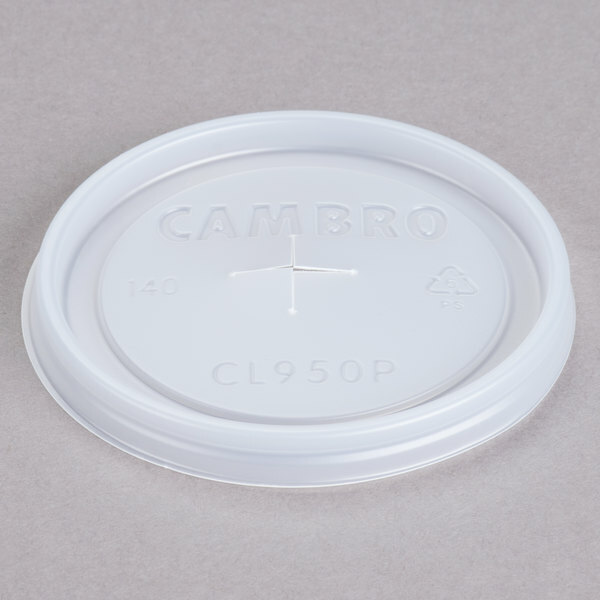 Minimize spills at your hospital, retirement community, or healthcare facility with this Cambro CL950P translucent disposable lid. 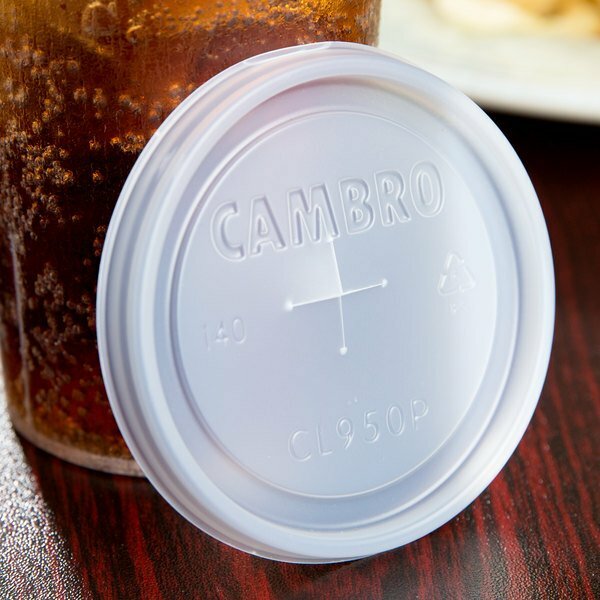 Made of sturdy, high impact polystyrene plastic, these single-use disposable lids ensure a secure fit, preventing possible leaks or liquid messes at your venue. 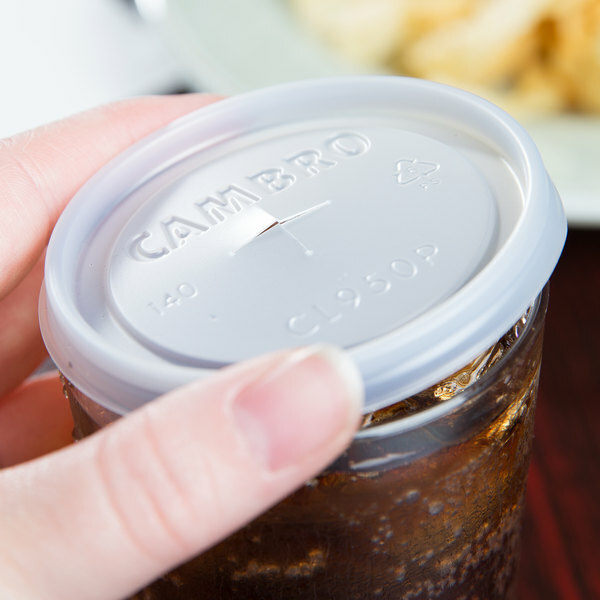 Nurses can easily insert a straw (sold separately) into the designated slot, allowing residents and patients to easily sip their beverage. 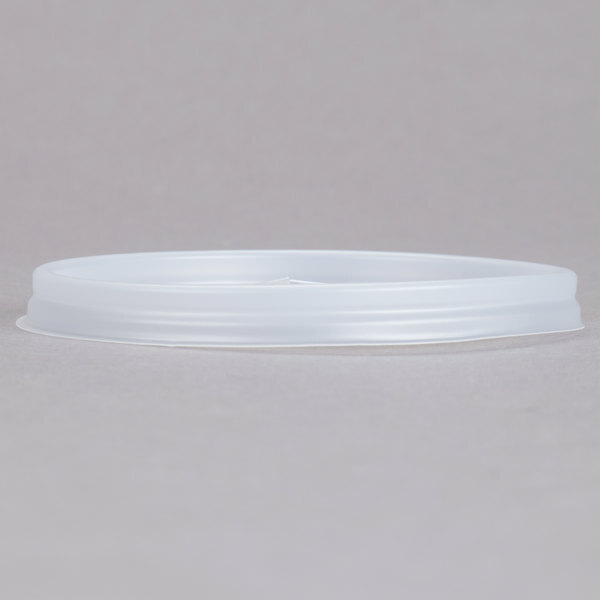 Help save the environment by reducing use of single-use plastic or foam cups, instead simply place this lid on top a reusable tumbler for a great "green" alternative. Great price for a must have! These are highly used in our facility to keep cereals, soups, etc hot upon delivery. They also have a great seal to prevent spillage. 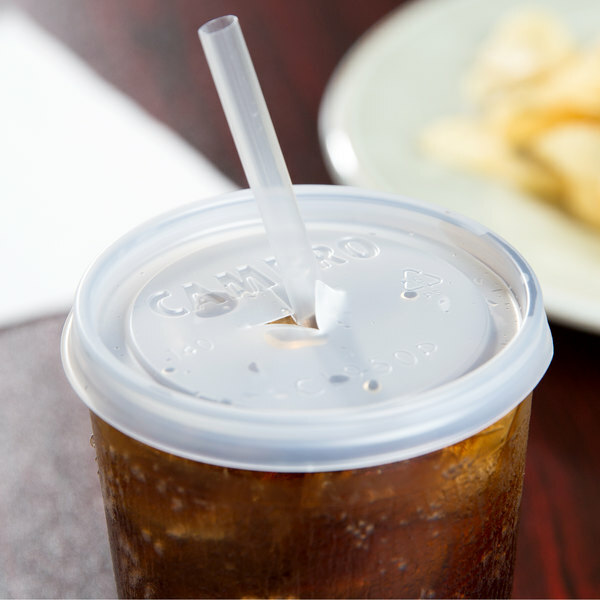 Perfect fit for cups, great for kids so they wont' knock their drink over and cause a huge spill. These fit nice and snug and do the job.